Lasallian schools around Australia have excelled in final year examinations with significant numbers of students ranked amongst the top performers state-wide in some of their courses. At De La Salle College Cronulla in Sydney, Gabrielle Pagano came first in NSW in her Design and Technology course and classmate Charlotte Startari came 2nd in the state. 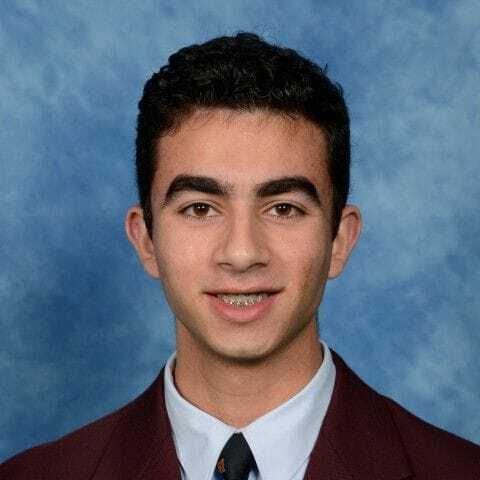 At Oakhill College in Castle Hill, Daniel Isaac came first in the state in Senior Science and is now hoping to study Optometry. St Michael's College in Adelaide continued its strong tradition of academic excellence with 42 students from its Year 12 class scoring an Australian Tertiary Admission Rank (ATAR) of over 90, placing them in the top 10 percent of students nation-wide. Eight students at St Michael's College scored an ATAR above 98.0, including College Dux Taylor Strube who scored an outstanding 99.65. Similar results were achieved by the Year 12 class at St Bede's College Mentone with 14 percent of the class scoring an ATAR over 90. Two students at the Melbourne Lasallian school, Matthew Slater (Biology) and Nathan Basile (English) had perfect scores in their favourite subjects and five St Bede's students scored an ATAR of over 98. Outstanding results were also achieved at Southern Cross Catholic College in Brisbane with 77 percent of the senior class scoring an Overall Position ( OP) of 1-15, giving them a strong chance of securing a university place this year. In New Zealand, John Paul College Rotorua continued its strong tradition of academic excellence, with 31 Year 13 students having their National Certificate of Educational Achievement (NCEA) endorsed with Excellence. Similarly in Papua New Guinea, large numbers of Year 12 students at Jubilee Catholic Secondary School in Port Moresby obtained excellent results in their final examinations and have secured places in prestigious university courses. The Lasallian Mission Council extends its congratulations to these outstanding students and we wish them well in their future endeavours.